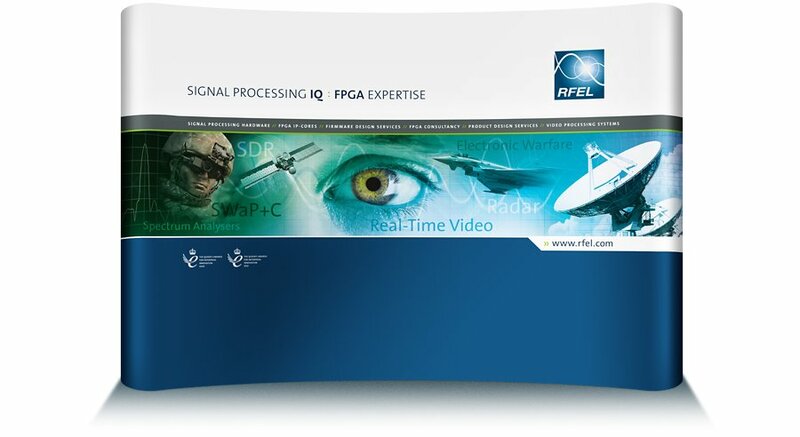 RFEL are specialists in high speed and low power video plus signal processing for Field Programmable Gate Arrays (FPGA). We were delighted to be asked to look at their whole corporate styling from the redesign of the logo, brochures, exhibition stands, right through to their website design and build. The logo is a visual representation of a close up point of a sine wave, with a lens flare graphic that acts as a pinpoint target on a cross section of the wave. In essence locating a precise point of a signal. 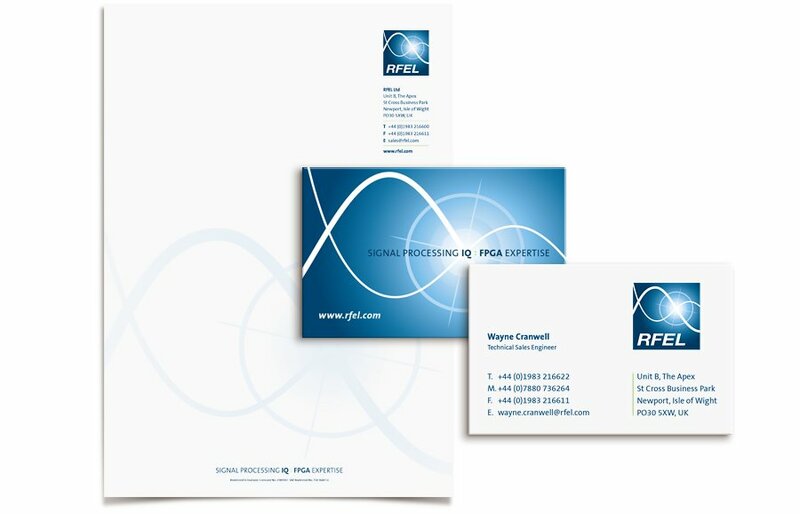 Letterhead and business cards. The Business cards are matt laminated both sides for added durability and a really smooth finish. As part of the RFEL re-brand we produced their corporate folder to store a series of technical data sheets for each of their products. 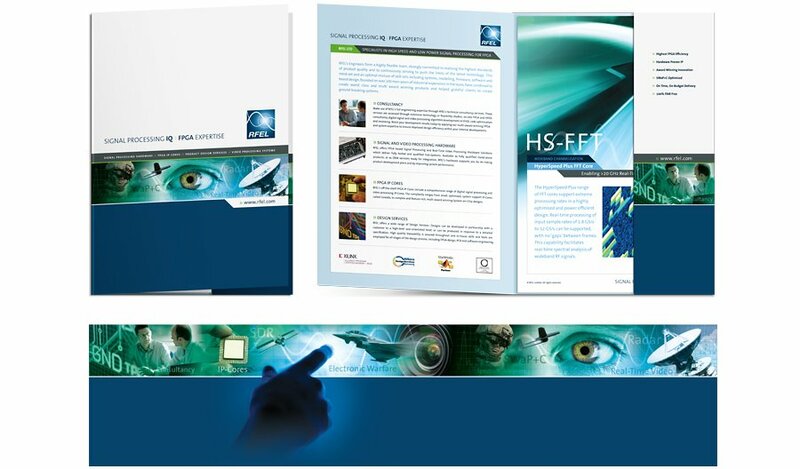 The folder has a montage wrapping around it that blends together images that are representative of their business.